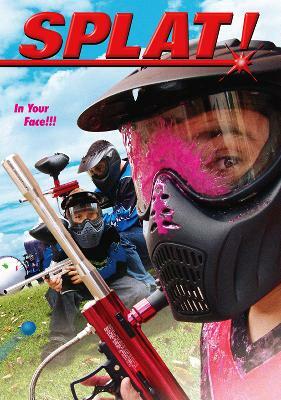 Todd Jarvis is a troubled teen whose one escape is the exciting sport of paintball - and even that is threatened by rival players dead set on making him and his friends miserable. But when a paintball tournament is held in town, Todd sees his big chance for redemption. Winning won't come easily, and if Todd wants to come out victorious, he'll have to overcome long shot odds, his own shortcomings, and the arrival of a mysterious stranger. SPLAT is an inspiring story about the importance of family, the values of friendship and the power of teamwork. SPECIAL DVD FEATURES: WIDESCREEN PRESENTATION, 21 MINUTES OF EXTRA ACTION FOOTAGE, ON LOCATION WITH PAINTBALL PROS BUD ORR AND TOM KAYE, CAST AND CREW INTERVIEWS, 5.1 SURROUND SOUND, ORIGINAL CAST AUDITIONS, INTERACTIVE MENUS, SCENE SELECTION, TRAILERS, OPTIONAL SPANISH SUBTITLES.